Something Red, White and Blue from Jenny Yoo! 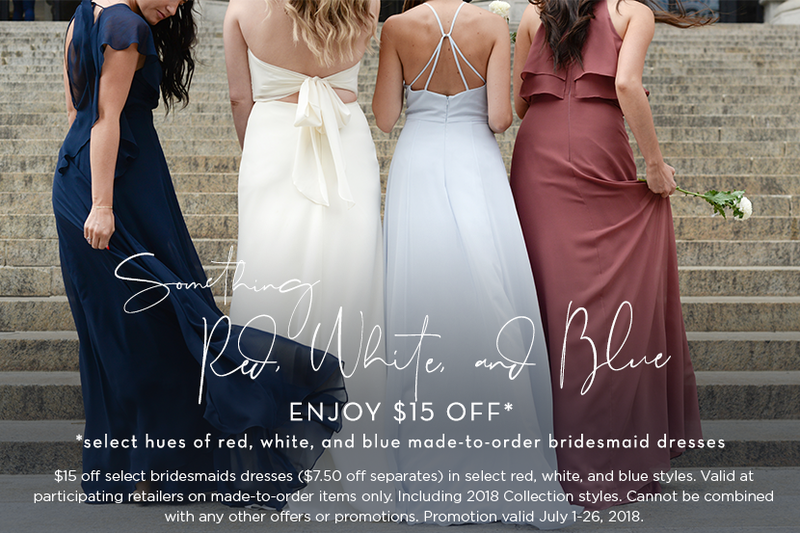 We are excited to share Jenny Yoo's July promotion on bridesmaids dresses for all your besties in your wedding party! Continuing the celebration of Independence Day this month, purchases of gowns in select hues of Red, White, and Blue will receive $15 off! Keep it patriotic on your big day, make your Bridesmaid Appointment today at the most stylish bridal boutique in South Tampa! Call us at 813-251-1749 or email us at info@isabelbridal.com.